I find one of the biggest disconnects with younger/less experienced players is between rudiments and actual music. So often they're told, "You need to learn your rudiments! ", but not why they should learn the rudiments, or how to actively apply them to music making. One of the things with rudiments that I don't think is immediately obvious to students is the idea of permutation. Keep in mind that a 5-stroke roll is just that - five strokes; two double strokes and a single stroke. There's nothing to say that it has to be played exactly as written above. 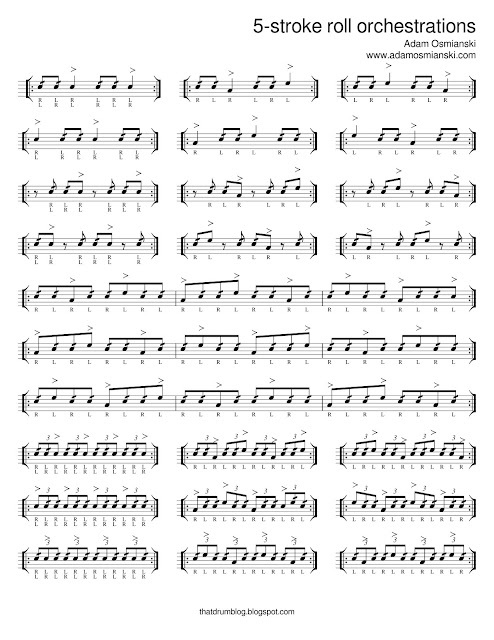 We can start it anywhere in the bar to create new rhythmic ideas. 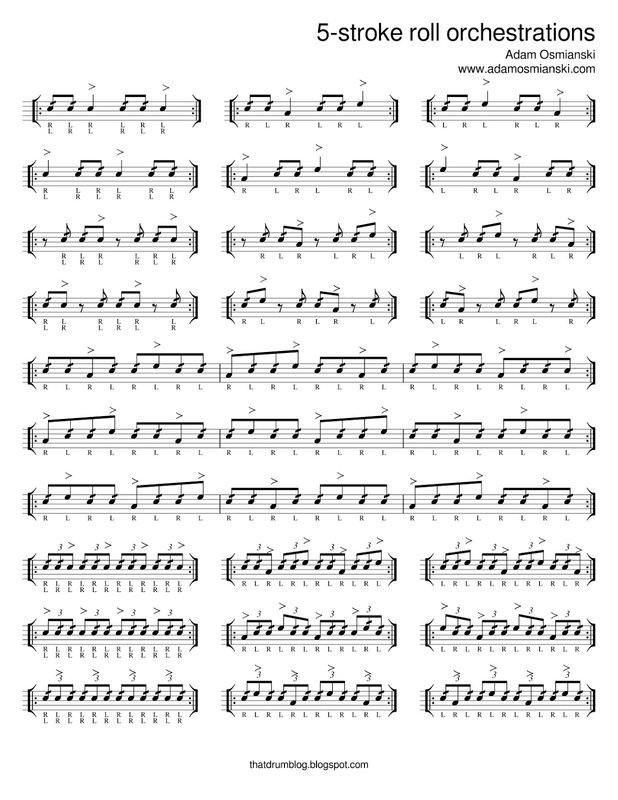 With that in mind, try starting with the single stroke, and also starting on the upbeats. For the sake of clarity I've left out the bass drum and hi-hat notation, but I'd still recommend keeping them in for now. Let's play the single strokes as an eighth note rather than a quarter note for a longer phrase. This will create a hemiola that will naturally resolve after three bars. Try playing these in both four and eight bar phrases. For four bar phrases you'll play measures 1, 2 and 3, and then measure 1 again. The examples here are just the tip of the iceberg as the possibilities really are endless. Of course I recommend you put in your Wilcoxon time, and if you really want to go deeper into this stuff check out Joe Morello's book Rudimental Jazz. Here's the whole sheet laid out. Please feel free to get in touch if you'd like a PDF copy.